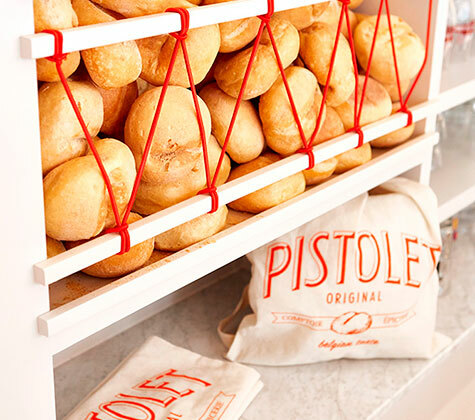 Pistolet Original offers gourmet snacks made with pistolet bread rolls. This unusual sandwich shop right in the centre of Brussels gives pride of place to Belgian culinary products and traditions. “Belgian taste”… The tone is set in this unusual sandwich shop in the centre of Brussels. 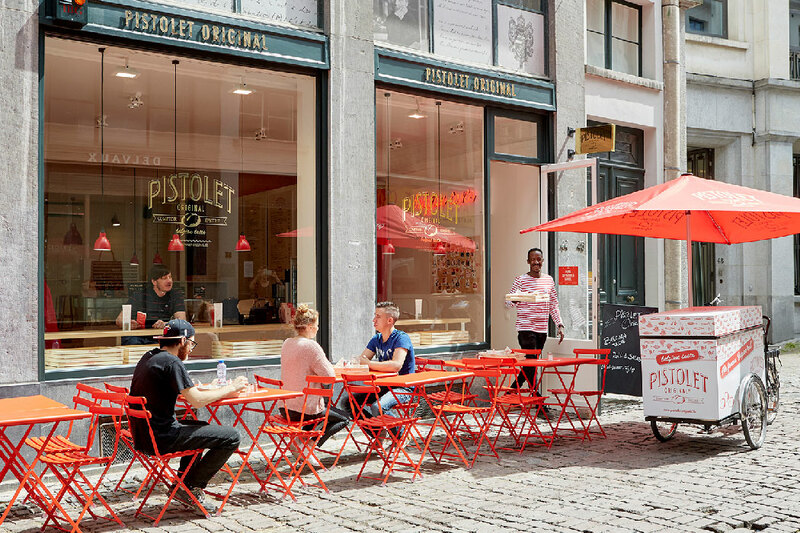 Pistolet Original offers a wide range of hot and cold recipes “made in Belgium”, made with pistolet bread rolls. Here, Belgian burgers are handmade and prepared on the spot. You place your order at a counter filled with savoury fillings and sweet treats. You then take a seat in the dining area on a high chair or at the terrace to enjoy it. 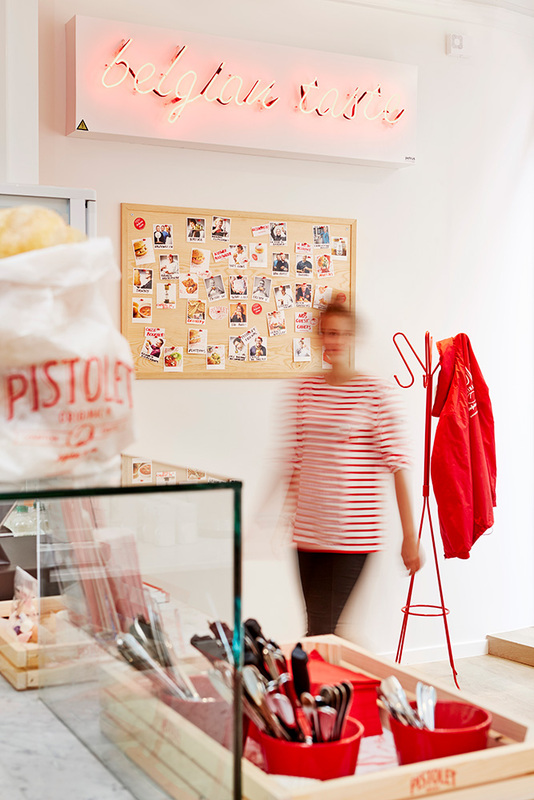 Pistolet Original works with fresh and local products for healthy and tasty food. 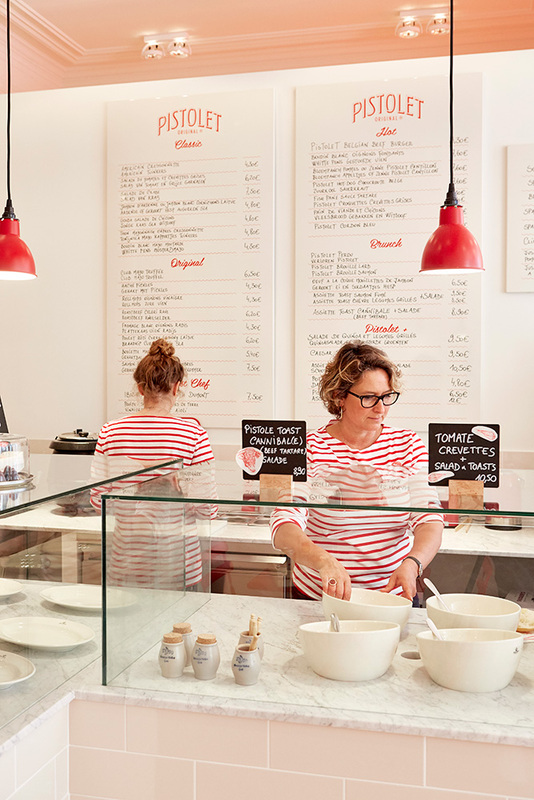 Much more than a sandwich shop, Pistolet Original is a pleasant little restaurant, a delicatessen and a chic counter fitted with a contemporary interior. 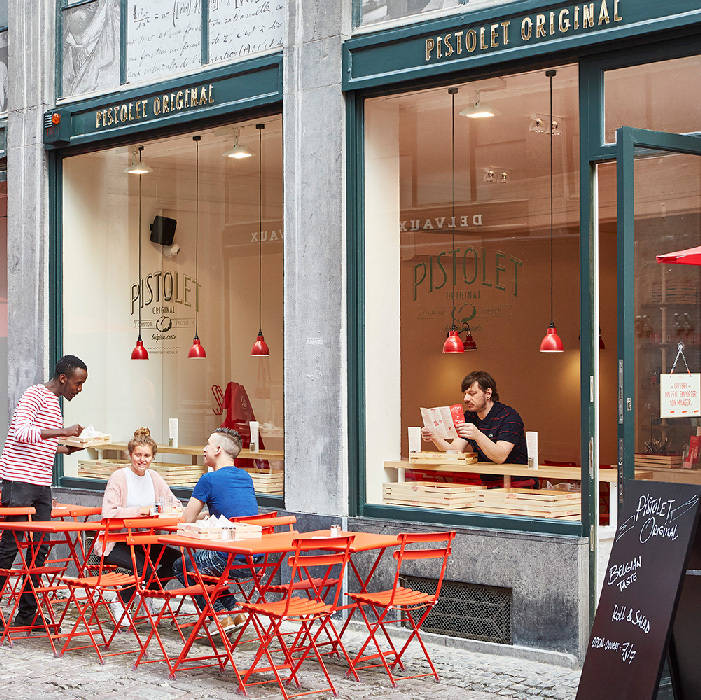 A typical Brussels restaurant, ideal for lunch on the go or to share a small meal in a friendly atmosphere. Sandwich-delicatessen combo: Belgian flavours à la carte! The taste of Belgium concentrated in a round roll, soft inside with a golden crust: that is what Pistolet Original has to offer. Enjoy the original concept surrounded by a red and white decor, both design and retro. The pistols can be enjoyed on the spot or to take away. A sandwich delivery service in Brussels is also available. Customised meals and spreads are available for your business lunches, meetings, professional and private events. Brunch on Sunday. 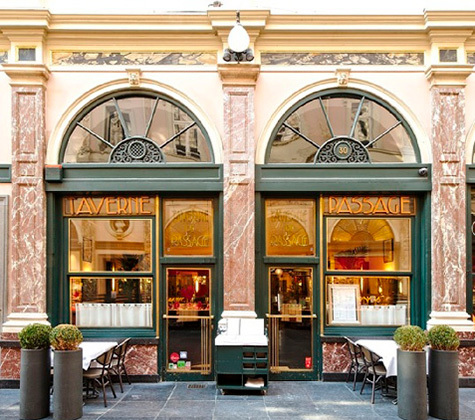 In the prestigious Galeries Royales Saint-Hubert, La Taverne du Passage is a typical Brussels restaurant not to be missed. 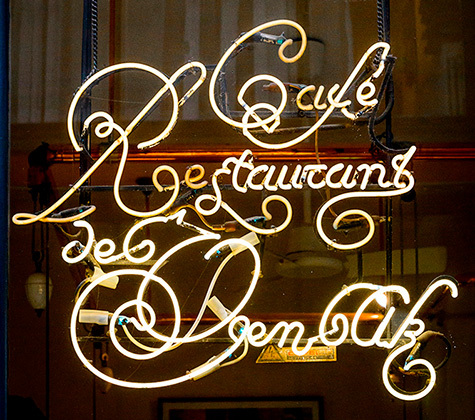 Founded in 1928, the restaurant serves Belgian and French specialities, in a timeless art deco setting. Appreciated for its seasonal suggestions, its quality products, its wine list and its timeless interior, L'Ogenblik is a typical Brussels restaurant. A restaurant not to miss in the capital, where tourists and regulars mingle in a relaxed atmosphere. 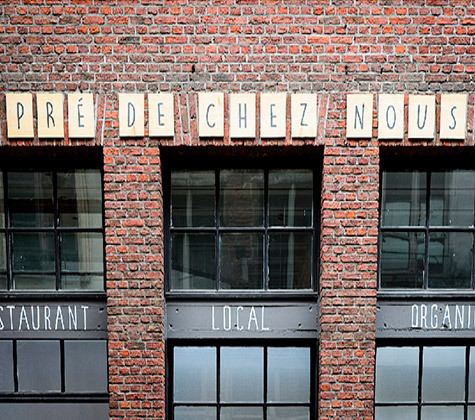 From farm to plate… This is the concept offered by Le Pré de Chez Nous, an organic restaurant in Brussels, with local products direct from the farmers. Get back to basics and enjoy healthy, seasonal food! Sign up to our newsletter to stay up to date with all of our news and events by email.